For some Miamians, literally everything is free. Drinks. Clubs. Fancy dinners. Champagne on yachts. Parties with Drake. Money. And for those lucky few, the 2 million Instagram followers they bought were definitely a sound investment. There's 24/7/365 access to beach weather and at least a dozen white sand beaches, and that equals #blessed. Seriously, go and take that selfie. We know you want to. Just watch out for these people. Explore Downtown from a different vantage point. Plus, it’s a good way to get out of the heat for a minute or two... or go on a bar crawl. Hop around six parks in Miami -- Gratigny Plateau Park, Gwen Cherry Park, Tropical Park, North Trail Park, South Dade Park, and Live Like Bella Park -- and you can get free boot camp classes, every day of the week, taught by local veterans who are in much better shape than you are. 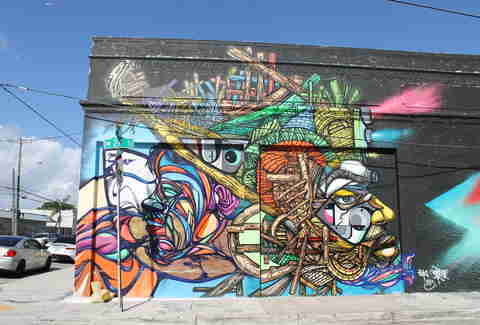 Grab a friend and BYOBIKE for a one-hour tour of Wynwood’s mural and graffiti art every Sunday at 11am. Sign up here. De-stress every day of the week with free yoga all over the city. Do your downward dog on Monday, Wednesday, and Saturday at Bayfront Park, then do another one every Sunday morning, right in front of Biscayne Bay, at the Mondrian in South Beach. 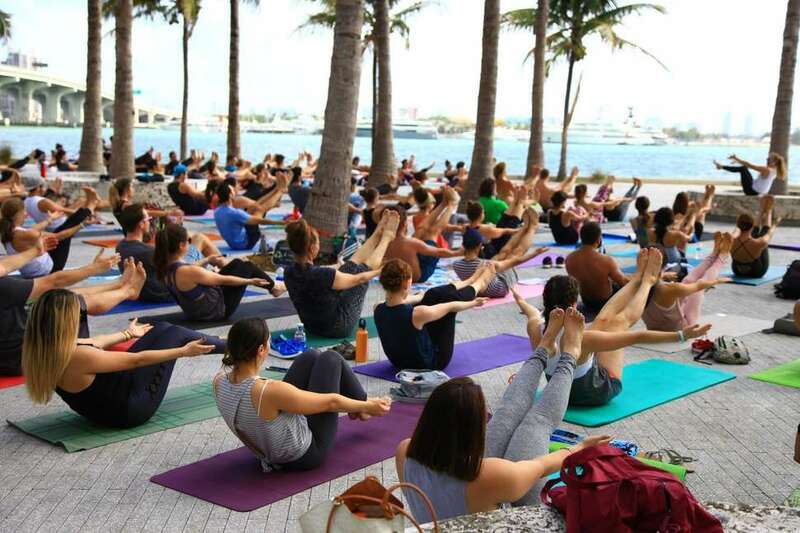 As if that weren’t enough, there’s also free yoga on Saturday mornings at Kennedy Park, in Coconut Grove, and on Wednesday and Saturday nights at Margaret Pace Park, in Downtown Miami. It doesn’t get more Miami shopping than this: There are yachts, waterfront bars and restaurants, and fantastic people-watching, and it’s steps from where the Miami Heat call home. As an added bonus, the Marina Stage, right in front of Biscayne Bay, has daily live concerts with everything from Brazilian and Latin tunes, to pop, rock, funk, and more. Brush up on Art Deco history, then download this map to explore on your own. From 6-9pm on Tuesdays, Wood Tavern serves up free tacos to any patrons of the bar. You will wait in line for these tacos, but they are good tacos. Tipping the taco makers is highly recommended. 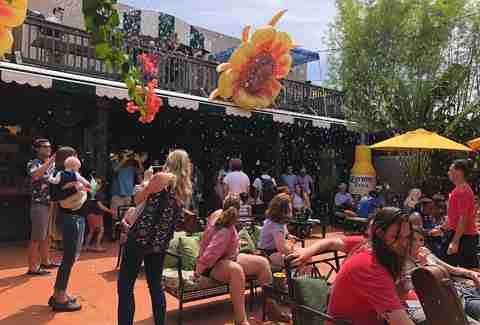 Hit up one of the food trucks and the outdoor bar, and spend the day jammin'. 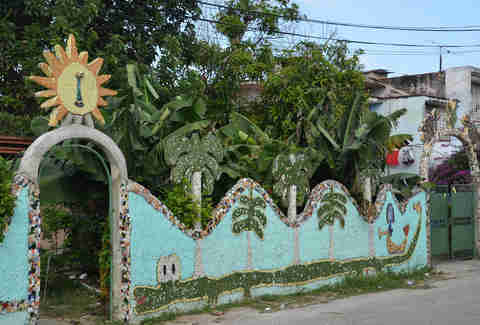 At this outdoor hangout, reggae bands play from 2pm to midnight every Sunday, and there’s no charge to get in. Sure, Little Havana is fun during the day, but have you been at night? 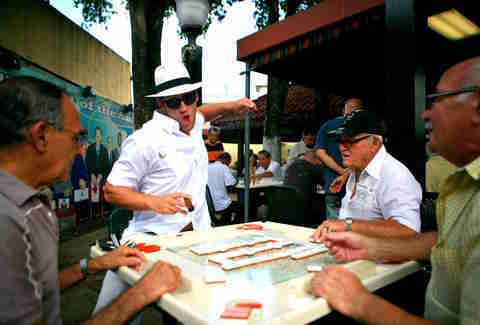 It takes on a whole new vibe, especially on the last Friday of the month, when the streets come alive with domino games, cigar rollers, cafecitos, mojitos, dancing, and Cuban art. Second Saturdays resemble more of a party these days (it is Miami, after all), but they're still a great way to see things you normally wouldn’t have access to. On the second Saturday of every month, Wynwood’s galleries stay open late with DJs and drinks, so you can turn your art exploration into an anything-goes block party. 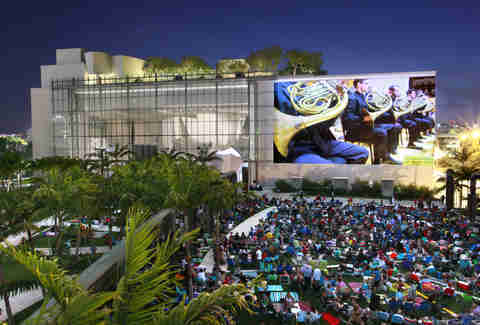 The New World Symphony not only plays its concerts on the front wall of its sleek performance hall, but it also shows classic movies like The Princess Bride and Ghostbusters for anyone in the park to watch. For free. All you need is a blanket, some booze, snacks, and a friend. 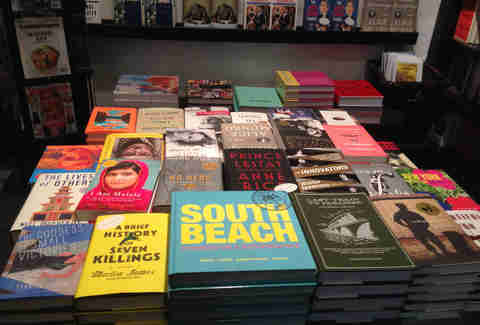 Miami’s signature local bookstore has an event nearly every night of the week -- from staged readings and chef dinners to celebrity author signings -- at its stores in Coral Gables, Coconut Grove, Bal Harbour, Pinecrest, Miami Beach, and at the Adrienne Arsht Center. Kites are super cool, especially when they are 150-foot-long rainbows, 100-foot-long squid, and 30-foot-long fish. For a glimpse at these and other weird flying creatures, do yourself a favor and check out Kitetober Kite Festival every October. Most will agree that dominoes are Miami’s favorite pastime. Domino Park is the place to learn from the best, watch all the action, and if you’re lucky, break into the stiff lineup of veteran Abuelos and actually play a game. Pro tip: Start with these. 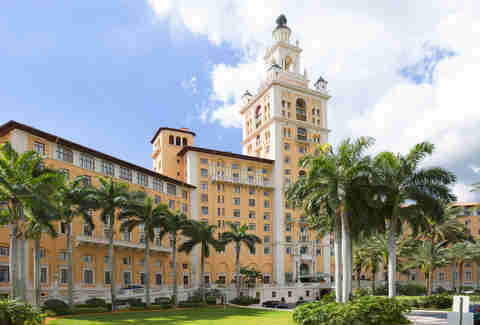 They host some of the sweetest events in Miami, like movies under the stars, lazy barbecue brunches, indie flea markets, art events, and free rooftop concerts, all in a cool Downtown space. 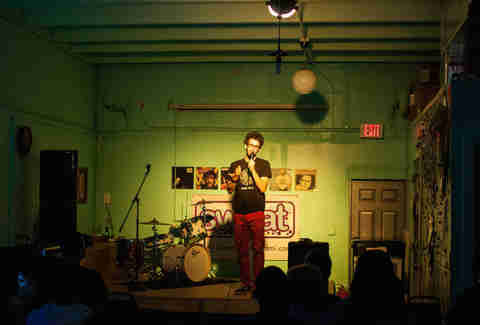 Stand-up comedy is going strong, and plenty of places will let you come and watch it for free. The Yo Space and Gallery has its monthly Just the Tip Comedy Show the first Sunday of the month. 305 Brews has Miami Comedy Mondays every week. And Wynwood’s Concrete Beach Brewery has a recurring Last Call Comedy Show on the last Tuesday of every month. Sign up here, pick a date, and then wait for your FREE invite to a secret gig at a secret location. In the north end of Crandon Park you’ll find the Bear Cut Nature Preserve, a preserved wetland with paved and dirt trails that run along the coastline and into the marshes. 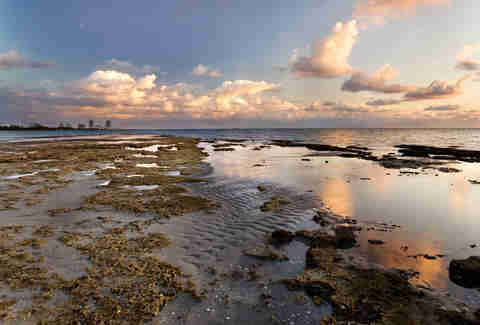 Hike or bike the 3.5 miles of trails and learn about the ecology that makes up South Florida. Bookleggers is a popular community mobile library that pops up all over town and provides attendees with one FREE book. You can also trade your own books for new ones. 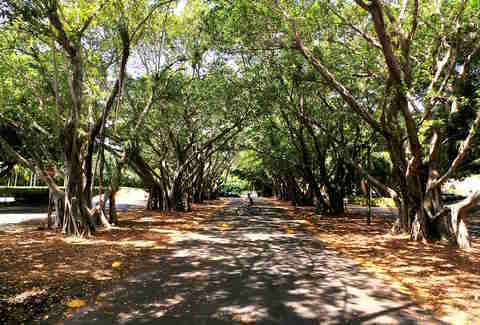 Old Cutler is 11 miles of paved trail along Matheson Hammock Park, Biscayne Bay, Fairchild Tropical Botanic Garden, Pinecrest Gardens, and Deering Estate. It connects with Biscayne and Commodore trails on either end if you want to extend your trip. 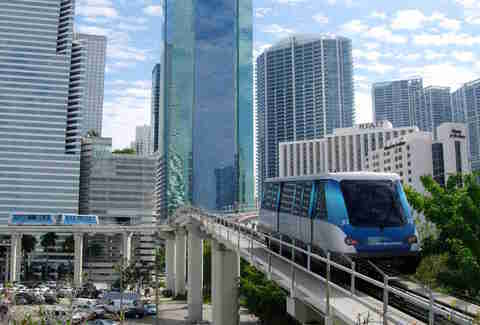 The MDC Museum of Art and Design, in The Freedom Tower in Downtown Miami, and the Institute of Contemporary Art in the Design District are always free. 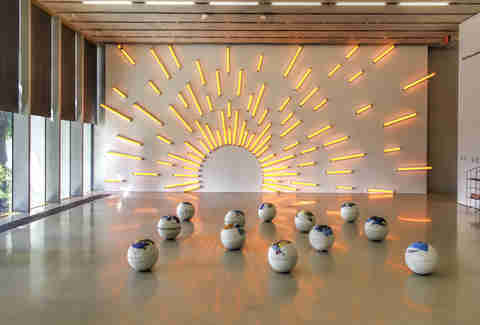 Or you can hit the Perez Art Museum for free admission on the second Saturday of every month, and if you’re a member, get free drinks, access to the galleries, and live music on Third Thursdays. 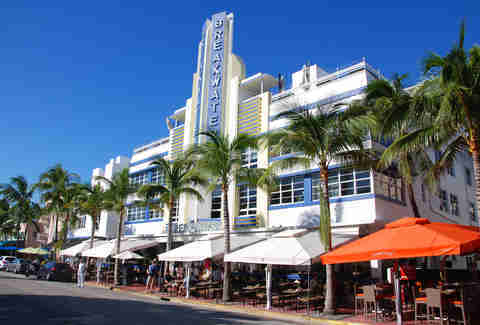 Friday nights at the Wolfsonian are free from 6-9pm and include films, talks, and drinks specials. Eat your heart out! Go to this indoor-outdoor flea market every Thursday through Sunday, and explore 27 acres of fresh fruits, vegetables, spices, lentils, honey sourced from local farms, a dedicated fish and seafood market, and more. Ball & Chain -- the historic jazz club that has been restored into one of the best bars in Miami -- hosts over 80 hours a week of free concerts in its back patio bandshell… which is actually half a cut-open pineapple. Everyone -- from European tourists, regular old tourists, and locals walking their dogs, to model restaurant hostesses, the occasional celebrity, and street performers -- strolls through Lincoln Road, and there’s no telling what you’ll see. This is also true for Ocean Drive, Hard Rock Hotel & Casino, Brickell Avenue, Downtown Miami, and the 250-mile radius that makes up all of South Florida. 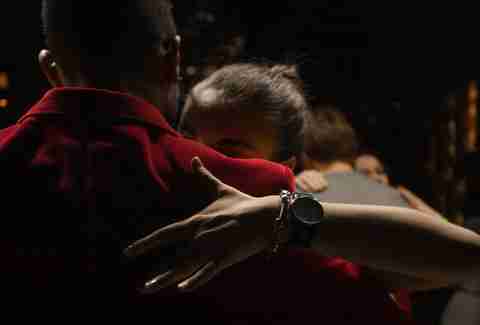 If you live in Miami and don’t Salsa, do you even live here? The InterContinental Miami (or as many of us know it, “the hotel with the electric-purple dancing chick”) hosts live salsa every Friday night at its Bluewater rooftop café, complete with professional dancers and instructors who will show you a step or two. 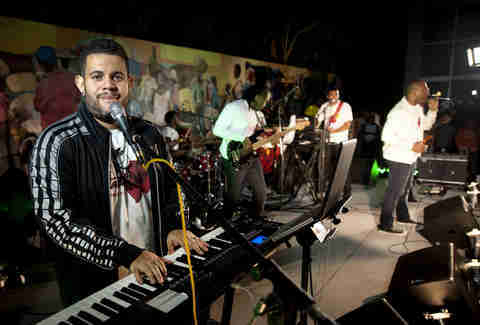 Attendance is free, and the fun runs from 6pm to 10pm and includes a live band, an on-site cigar roller, and $7 drinks. The Shark Valley bike trails are effectively South Florida’s only extended bike routes through nature, and riding them any time is a great way to experience the landscape that once was. But doing it under a full moon, lit only by the light from the sky, is a simultaneously terrifying and beautiful experience every Miamian must try. 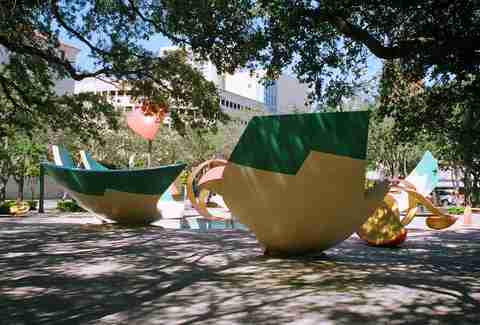 This one may require a little bit of research and some time, but there’s plenty of hidden and not-so-hidden public art all around Downtown, from Bayfront Park to the Dropped Bowl with Scattered Slices and Peels. Located on the southern tip of the island, South Pointe Park offers priceless views of cruise ships leaving the Port of Miami and the Atlantic Ocean. Plus, parts of the park are open until 2am. ...which includes 30 acres of pineland and tropical hardwood hammocks, an aquarium, a live animal exhibit, fire pits, a nature trail, kayaking, and tons of bird-watching. Fun fact: The park is home to the Southern Cross Astronomical Society, which has a large telescope for stargazing and planet searching. Matt Meltzer is a contributing writer for Thrillist who always shows up five minutes after the free drinks run out. Follow him on Instagram @meltrez1. 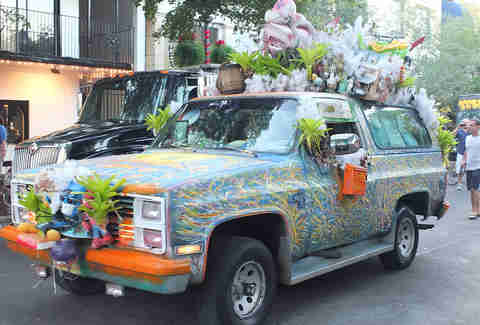 Jennifer Agress is a native Miamian who’s a big fan of not paying for things. Follow her on Instagram at @jenniferagress to see what else she doesn’t like paying for.